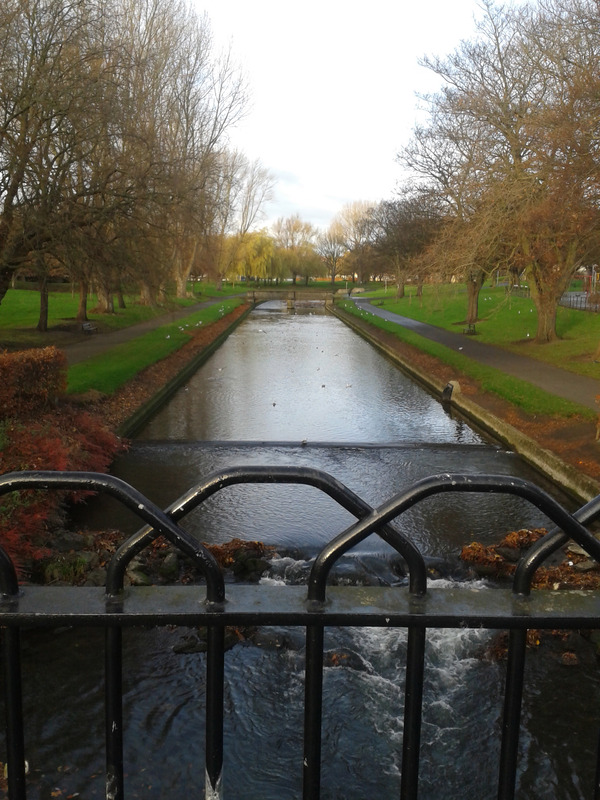 On Saturday 7 December, members of the Eighteenth-Century Literature Research Network in Ireland gathered at St Patrick’s College in Drumcondra, just north of Dublin city centre, for the network’s 11th annual symposium. 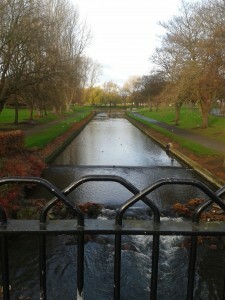 It was a bright, sunny and unusually mild day for December: as I made my way through the park to the college from my nearby bed and breakfast, it felt more like early autumn than winter. This was my first ECLRNI event. In October this year I moved from Cardiff, where I completed my Phd, masters and undergraduate degrees, to University College Cork, to take up a Government of Ireland Postdoctoral Fellowship funded by the Irish Research Council. The one-year post gives me the opportunity to concentrate on publications including the production of my first monograph, which will examine imaginative and scholarly engagements with the Arthurian legend by women writers between 1700 and 1900. Beginning the fellowship and moving away from where I studied for my doctorate has also opened my eyes to a host of new networks and research centres, both at Cork and across Ireland, and in this spirit I was much looking forward to the symposium. The symposium took place in the historic Belvedere House, the rooms of which are decorated with ornate fireplaces, wood panelling and gilded mirrors that make it an ideal location for an eighteenth-century studies conference. Fittingly, the first item on the agenda was a walking tour of the house, given by James Kelly, Head of the History department at St Patrick’s College, and the author of St Patrick’s College, Drumcondra, 1875-2000: A History (2009). The glorious weather meant that we were able to stand outside and admire the front of the building in all its glory, and observe how the different sized bricks making up the first and second floors belie the building’s complicated history. From its unusually large entrance hall, mismatched door sizes and off-centre fire-places, the building abounds in intriguing architectural idiosyncrasies, which evidence the many changes in the building’s ownership and function since it was first erected as a one-story dwelling in the 1660s. 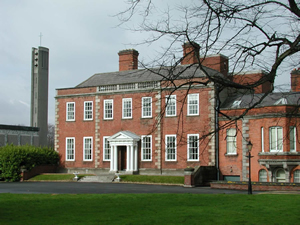 Since then, it has housed the family of Sir Marmaduke Coghill, former Chancellor of Exchequer, and a number of other Irish MPs, including Lord Singleton, Baron Bowes, and Lord Lifford. After the tour, the first static panel of the symposium, looking at women’s writing, was opened by Porscha Fermanis, who discussed Joanna Baillie’s approach to history in Metrical Legends (1821). The panel also contained my own paper, on an edition of Percy’s Reliques compiled by an anonymous lady for the daughters of her patron. It was particularly exciting for me to see how closely our two papers shared an interest in women’s use of scholarly notes, appendices and annotations; in particular, Fermanis showed how the critical reception of Baillie’s Metrical Legends was shaped by gendered attitudes surrounding the type of historiographic writing deemed appropriate for women. After a warming and much appreciated two-course lunch of soup and sandwiches, the next panel was united by its focus on Irish writing. James Wood’s paper on the late seventeenth-century correspondence between William Molyneaux, the founder of the Dublin Philosophical Society, and John Flamsteed, First Astronomer Royal, raised interesting questions about the performance and self-construction played out in letter writing and the cultivation of friendship through knowledge exchange, as well as the construction of intellectual communities between Britain and Ireland more generally. Next, David O’Shaughnessy examined the changing presentation of the Irishman on the London stage through a discussion of Denis O’Bryen’s A Friend in Need is a Friend Indeed (1783). O’Shaughnessy’s reading of the play’s Irish villain, Ragan, revealed how O’Bryen constructed a complex character with a dual Irish and Jewish ethnicity that drew on both contemporary portrayals of Shakespeare’s Shylock and current genealogical theories about racial connections between the Irish and the Jews. Finally, Niall Gillespie’s paper on the Irish Anti-Jacobin novel examined Maria Edgeworth’s Ennui (1808) and Alexander Sutherland’s Redmond the Rebel; Or, They Met at Waterloo (1819), emphasising how the latter novel refuses the reader the satisfaction of a resolved ending in marriage characteristic of the national tale, and offers instead a far bleaker vision of the future. After tea, the final panel began with Joe Lines’ examination of the concept of improvement – both personal and national – in The Adventures of Anthony Varnish (1786), a novel whose authorship is still a hotly contested issue. Lines offered a reading of the text’s picaresque aspects through reference to Simon Dickie’s recent concept of the ‘ramble’ novel, and Anthony’s rejection of Ireland for London in the novel also offered some interesting connecting parallels with O’Shaughnessy’s earlier paper on the representation of Irish identities in London. Christine Mangan’s discussion of Francis Lathom’s The Midnight Bell (1798) paid close attention to the novel’s oft-repeated images of lakes, blood and back doors to reveal how these provide traces of the novel’s otherwise unspeakable homosexual content. Drawing the last panel and the symposium to a close, Matthew Reznicek’s paper on the Faustian economics of Edgeworth’s Ormond (1817) provided ready demonstration of the insights available from comparative criticism. Reading Edgeworth’s portrait of Sir Ulick O’Shane alongside Goethe’s Faust, Part 2, Reznicek made a compelling case for Edgeworth’s novel as one that casts a sceptical glance on credit and currency. The symposium was expertly managed and directed by Jim Shanahan of St Patrick’s College in the absence of the founder and convener of the network, Ian Campell Ross, of Trinity College Dublin, who is currently a undertaking a visiting professorship at Ateneo de Manila University in the Philippines. I was given a very warm welcome to ECLRNI by its members, and thoroughly enjoyed my first symposium. I hope to be able to attend many more in future. Katie Garner is Irish Research Council Government of Ireland Postdoctoral Fellow at University College Cork. Her current research focuses on women’s writing and the Arthurian legend in the eighteenth and nineteenth centuries, and she has also published on feminism, the Gothic, and Angela Carter. She is Reviews editor for Romantic Textualities and has recently entered the world of Twitter: @drkatiegarner.